The phrase, ‘less is more’ really applies to a lot of situations in life and it especially holds true for Halloween! Why break the bank on a spendy costume when you can have just as much fun with one of our easy to assemble costume kits? It just doesn’t make any sense to us. 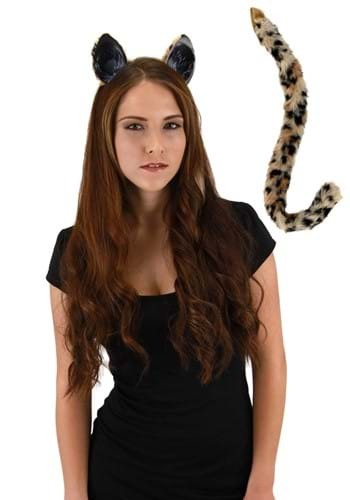 Now, a lot of people who decide to enjoy the night in one of our costume kits go out as a black cat or a bouncy bunny, but you can stand out with this Cheetah Cat Ears and Tail Set! Enter the party scene as the fastest land animal on the planet when you add this adorable costume kit to your outfit. Whether you’re out in a tank top and mini skirt or a cheetah pattern jumpsuit, this ear and tail set will easily transform you into one of the most elegant cats in the wild. Grab yours today and enjoy your Halloween without all the hassle of overly complicated costumes!